Each week faculty members are nominated by colleagues for Faculty of the Week. Each nomination will get an a printed card & each person nominated each week is in a drawing to win FOTW! Faculty of the week. That person gets a VIP parking space in the front of the building, a certificate, and a special announcement on Friday afternoons. So far, South Middle School has received over 200 nominations! 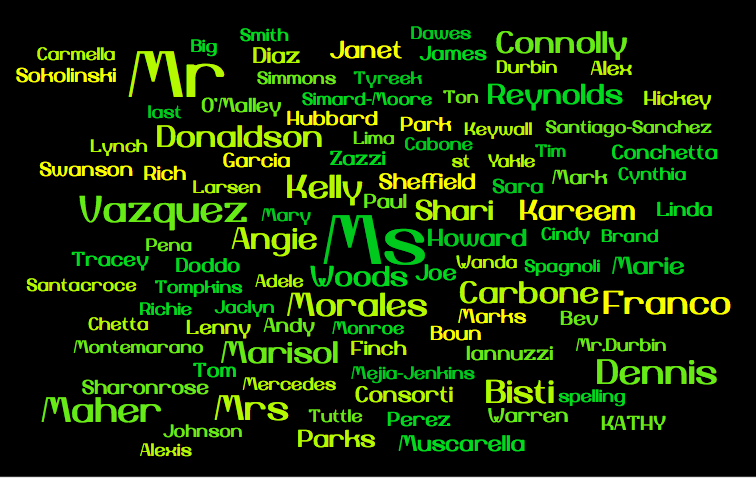 Here is a word splash with all of the faculty that has been nominated.